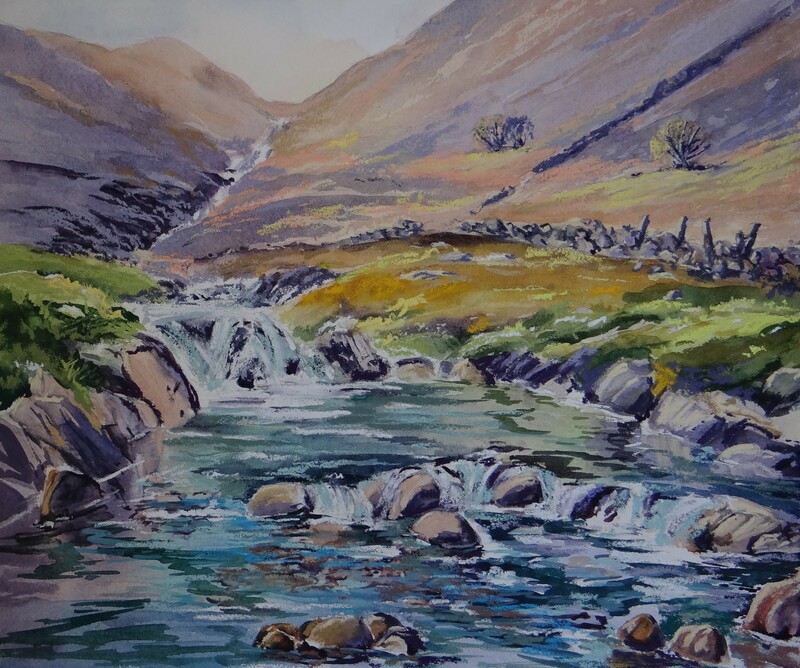 Inspired by the beautiful Seathwaite Valley, Lake District. Watching the light disappear behind the fells as I made my way to Stockley Bridge. I had to stop at this magical little scene and do a quick sketch. 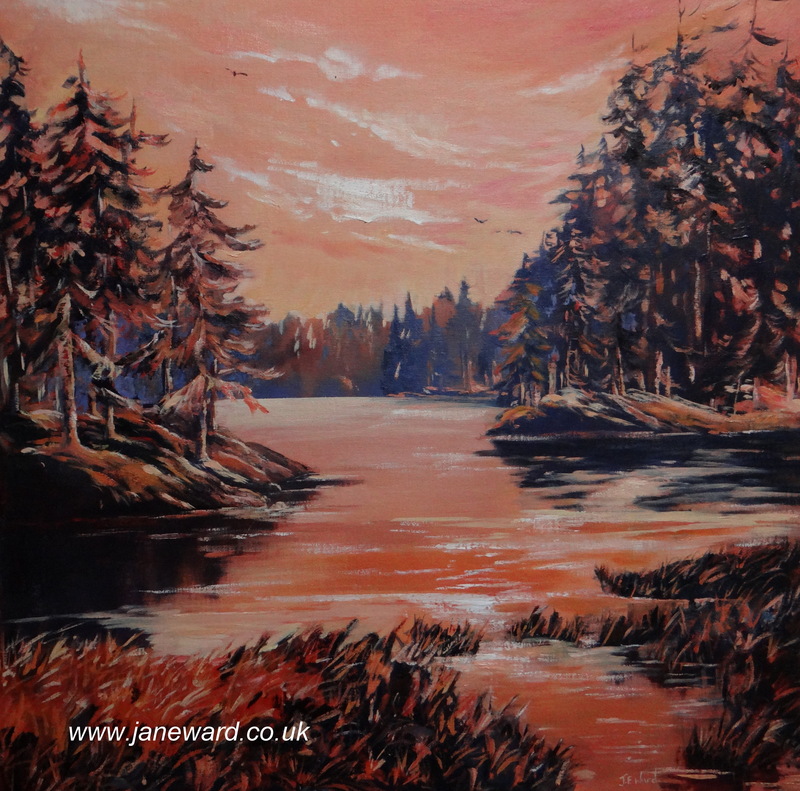 Still Water, Tarn Hows painted in Oils. Tarn Hows near to Hawkshead was one of the first places I visited in the Lakes, this beautiful tarn is a pure joy to walk around in any season but when the Autumn colours are in full swing it is stunning. I am entering this painting at ‘Art Mart’ in Ambleside from Friday 29th March until Monday 1st April 2013.